Calcium-D-Glucarate is calcium bound to d-glucaric acid, which is a natural compound produced in small amounts by the human body and is abundantly found in various plant foods such as broccoli, cabbage, kale, apples, oranges, and grapefruit. Research shows that d-glucaric acid derivatives such as calcium-d-glucarate help support the body’s natural elimination of excess steroid hormones and toxins. 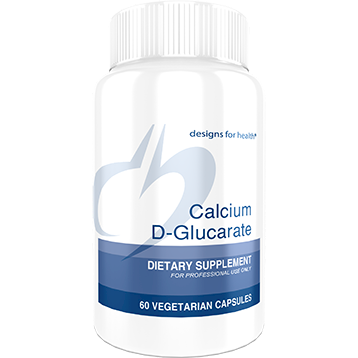 Calcium-d-glucarate assists in the detoxification process as it forms conjugates with unwanted estrogenic hormones and environmental toxins, which are then eliminated from the body instead of being reabsorbed. Notice: Color, size or shape may appear different between lots. Store in a cool, dry place. Keep out of reach of children. We recommend starting these packets prior to trying to get pregnant to help ensure optimized nutrient levels before conception. Cortisol Manager is formulated with stress-reducing ingredients and botanicals to promote relaxation, help alleviate fatigue, and support healthy cortisol levels.